3. When the chilli and garlic start to colour, Add the king prawns and the freshwater prawns and cook for approx. 1 min 30 - 2min on either side. 5. To finish, add the juice of the lemon wedge, season to taste and add the freshly torn basil leaves. Serve sizzling with the warm garlic bread. 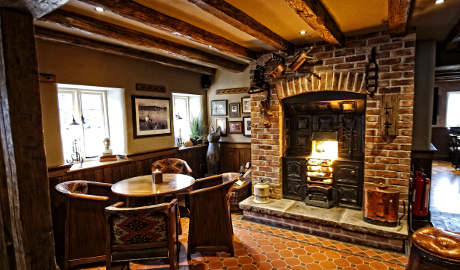 The Fishpool Inn is a cosy, characterful inn dating back to the 18th century and impressively has recently been awarded a much sought after accolade of 'Best New Pub' in the UK. 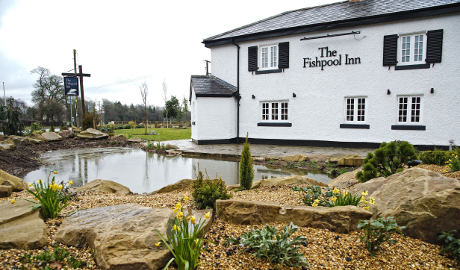 Idyllically positioned on the edge of the enchanting Delamere forest and amidst the stunning Cheshire countryside, The Fishpool is without doubt one of the county's most popular gastro inns. The cutting edge open fronted kitchen is a hive of creativity where the passionate, talented chefs work their magic as they cook freshly prepared meals using only the finest, locally sourced ingredients. 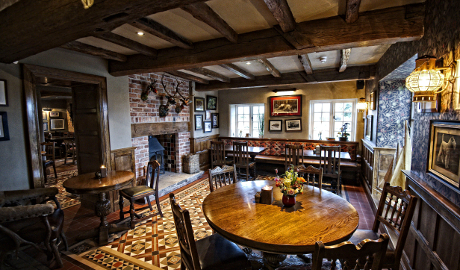 The seasonally changing menu is varied to suit all tastes and features traditional home comforts and modern British and European dishes. 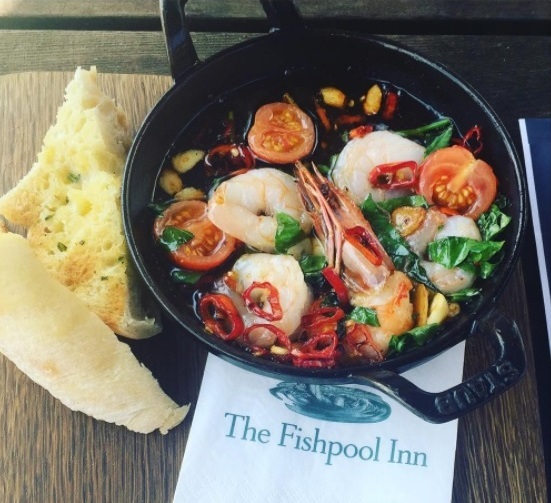 And not forgetting a little taste of Italy with the Fishpool's flavoursome flatbreads and authentic Italian style pizzas, cooked to perfection in the superior Jestic wood stone oven. A firm favourite at the Fishpool is the unrivalled home-made, hearty pies with their succulent tasty fillings wholly encased by delicious puff pastry.